The powerful Ordo Iuris Legal Instiitute in Poland has initiated the first universal «Convention on the Rights of the Family». EAL is honored that our President, Jan-Aage Torp, is a member of the 22 members (from all corners of Europe) working group that met in Warsaw, Poland to finetune the draft. 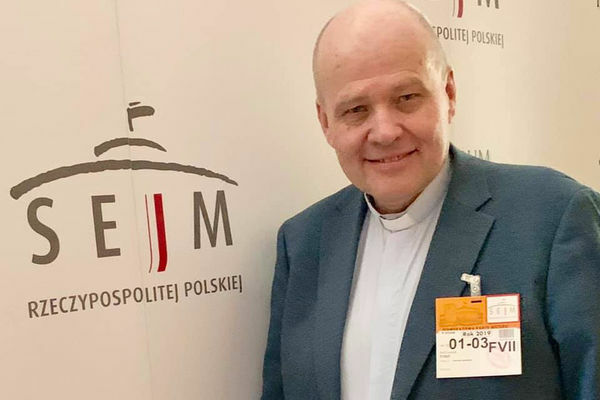 The Declaration of Support for the Convention on the Rights of the Family was presented in the Polish Parliament, The Sejm, by Jerzy Kwasniewski, Tymek Zych, Archbishop Zbigniew Stankiewicz & others at a Briefing in the Polish Parliament in Warsaw.